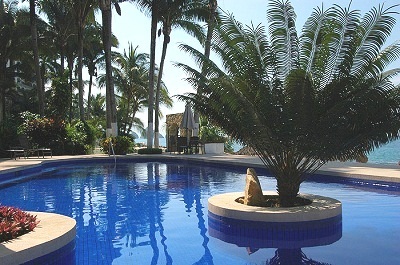 We are continuing to experience a buyer market in the Bay of Banderas. Foreigners and nationals are buying homes and condos, but they are paying less than 4 years prior. Sold condos at prices under 300,000sd are more prevalent, although there are some exceptions. We have a larger inventory of homes which have been slow to sell. Part of the reason is we have so much inventory of unsold homes, and we are in prices ranges above what our typical current buyer wants to see. Our demographic of foreign buyers has dramatically changed from 80%-90% American, to the majority being Canadian. We have some activity with Russian buyers. One agent had 12 sales of condos to Russian buyers in 2012. These buyers will not visit often, so they are keen to have good rental income to cover their yearly costs. Some foreign owners of real estate here are now becoming more optimistic in investing in Mexico. Some of the reasons for their renewed interest are the good press about the new president of Mexico and his party, PRI, as well as positive reports of Mexico’s financial health reported in “The Economist,” and international investment firms touting Mexico over Brazil for opportunities. A new demographic which has become noticeable in some areas of Puerto Vallarta and the Bay is the migration of senior citizens back to their home of origin. If a couple bought a second home in our market when they were in their 50’s o 60’s, after 20 years, they tend to put their properties up for sale. This has nothing to do with the enjoyment they have had or their great adventure living abroad part of the year. It has to do with their children often having different plans for their middle and senior years, as well as concerns about slowing down themselves, needing more on-going health care, or desiring to be near their family more long-term. We do not have a firm idea of who our buyer will be in 2013. Each of the three prior years, buying patterns and types of buyers have changed from year to year. We are fortunate to have a country in good fiscal condition, beautiful scenery and warm weather. We have good inventory with a myriad of choices for a serious buyer with money or financing.